This is the first completed painting in a new series. 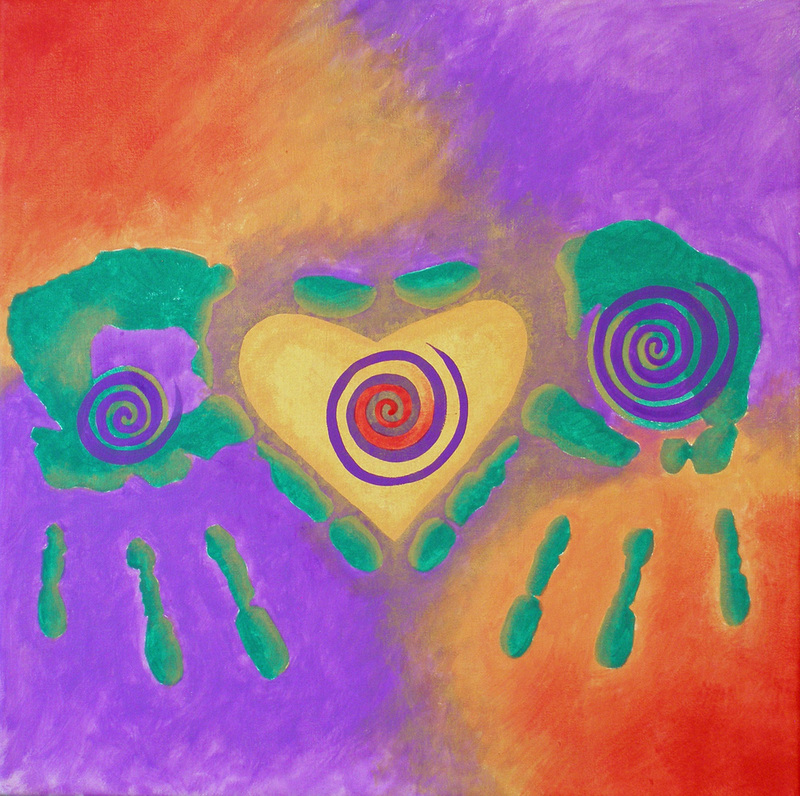 The painting is called “Healing Heart”. 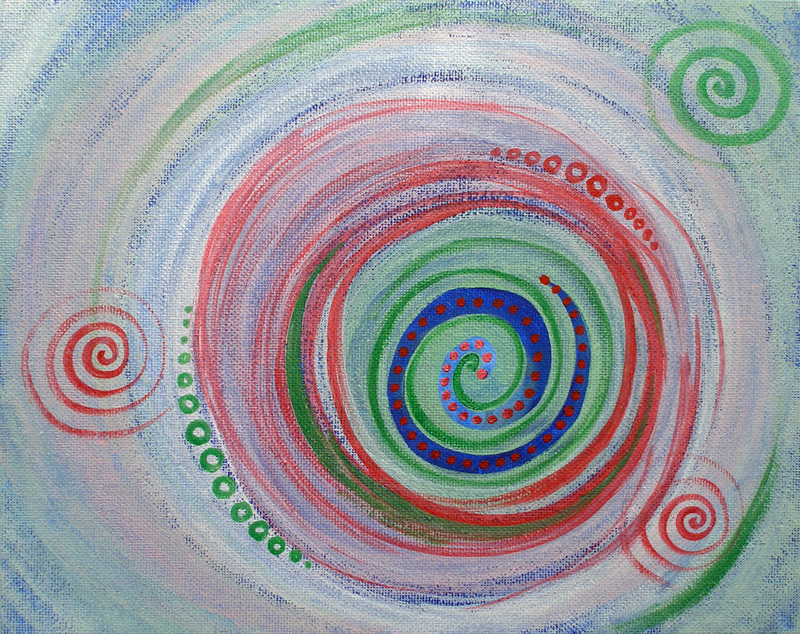 The series is dedicated to the healing arts and more specifically to healing “artists”. Thank you for the love and healing you give so selflessly! Back in the studio yesterday after over a week off for graduation preparations and festivities. My youngest son has now graduated from high school! We are finally done with high school! 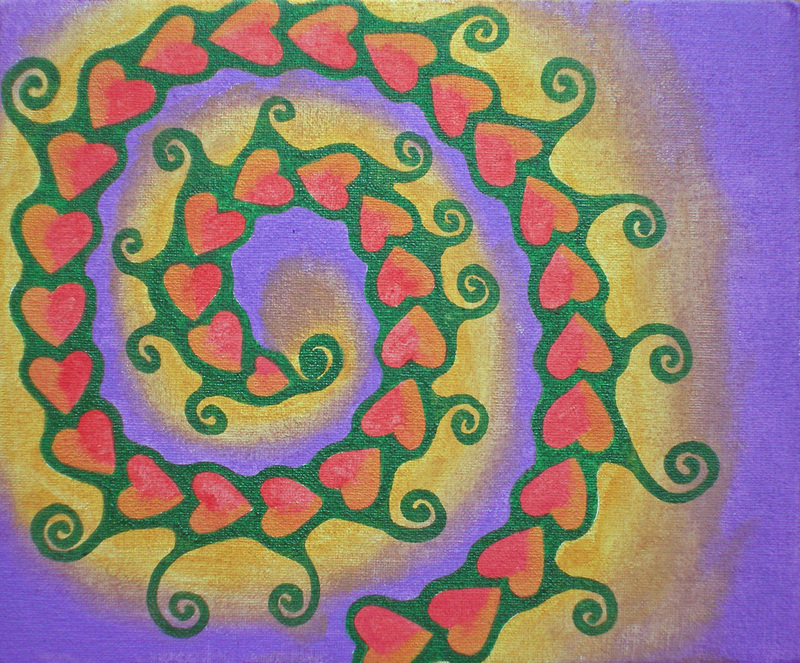 Feeling a bit rusty getting back to painting yesterday, “Love Grows” is a painting I started a couple of weeks ago and finished yesterday. “Energy” is a painting I started yesterday and still don’t think I’m done with. These are both small paintings. I started another new one this morning that I will post once I get more done. I’m feeling more abstract today for some reason.